Medical students who are focused on family medicine as a career and interested in learning more about our Family Medicine Residency are encouraged to apply for our Visiting Medical Student Program. 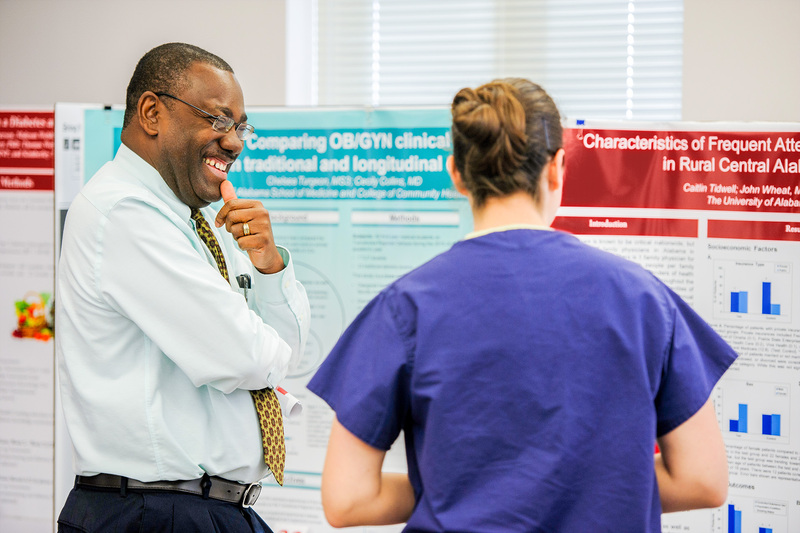 Through the program, medical students have exposure to residents and faculty in inpatient and/or outpatient settings, and have opportunities to participate in resident and medical student learning sessions. The Visiting Medical Student Program is designed for medical students who are interested in applying to our residency. Limited housing opportunities may be available upon request and with advanced notice. Additional electives may be available after completion of a Family Medicine Elective. If you have questions about the Visiting Medical Student Program, contact Julie McGill. Provides experiences in family medicine and may include nursing home care and home visits. Guided by three family medicine faculty physicians, students develop knowledge of and skills in family medicine. Individual needs of students are addressed and assignments are made on a case-by-case basis. Students might be assigned to community preceptors or practices to observe and experience medical practice, complete service learning projects, or conduct research projects. A two- or four-week experience that builds upon concepts of integrated clinical medicine and broader aspects of patients’ lives. Students gain valuable clinical and educational experiences and develop a solid base for family medicine residency training and practice. May be taken as a four-week elective, Elective Acting Internship, or Other Acting Internship-Ambulatory. Students interested in family medicine as a career gain valuable clinical and educational experiences and develop a solid base for family medicine residency training and practice. Provides experiences that allow students to develop basic obstetrics knowledge and skills in the context of a continuity family medicine practice. Provides students an opportunity to gain experience caring for older adults in a variety of health care settings, including an outpatient geriatric clinic, nursing homes, and hospice. Students work directly with attending physicians and residents to evaluate and treat older patients with common chronic illnesses. Gives students a sampling of the varied procedures possible in a family medicine practice. Procedures include, but are not limited to: colonoscopy, EGD, colposcopy, cardiac stress testing, pulmonary function testing, ultrasound, and phlebotomy. May be taken as a two- or four-week elective, Elective Acting Internship, or Other Acting Internship-Ambulatory. Provides exposure to and experience in sports medicine, including primary care of acute athletic injuries, exposure to surgical procedures and patient care commonly associated with sports medicine, care of acute and chronic sports medicine issues in a clinical setting, and examination techniques for sports medicine injuries.